Why choose Multi-style Yoga Teachers Training Course? 6 reasons to join multi-style yoga teachers training course. In everyday life we always experiment and experience different set of solutions to our various questions. once you have not tried or tasted the different fruits you would not be able to decide which one is your favorite. Likewise, in yoga every practitioner should at least have a brief understanding of the distinct array of styles and choose the best suited for their mind, body and soul. And clear the conflict arising in the mind as to which style to choose for their practice and learning. Those who enjoy physical challenges go for Ashtanga or vinyasa flow. Those who prefer to have soft and simple practice and to mold their practice towards spiritual seeking choose Hatha yoga. 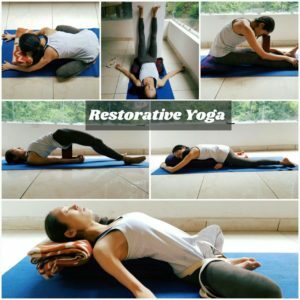 Those who want to experience the meditation or passive state of their body in a posture prefer restorative yoga. Those who practice yoga for therapeutic purpose choose Iyenger yoga to get better understanding of their body and posture. But the one who has just began this journey doesn’t know which style of yoga to choose, and that’s the reason why multi-style yoga is always a good to start for beginners. Here are the 6 reasons to choose multi-style yoga teachers training. 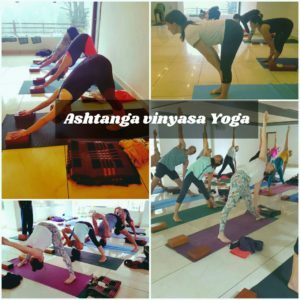 Hatha yoga, Ashtanga yoga, Ashtanga vinyasa yoga, Restorative yoga, Iyenger yoga; no matter which style you practice, multi-style yoga teachers training gives you a glimpses of all the different forms. Students can absorb these practices throughout the month and get benefited by their significant effect. Practicing on your own body first, learning the key alignment points, understanding the passive state and getting mastery over the asanas (postures) is a greater attribute of multi-style teachers training course. Once the course is completed the students could choose which form of yoga they would like to practice and teach. This is the specialty of the course that the students have experienced certain styles and they pick or choose a style which suits them the best. Through multi-style, one gets the basic knowledge of all the different forms of yoga. They are not just confined to one style but it is helpful in gaining a clear understanding of the various forms. It also builds on the confidence to teach in the outer world. As students receives not only the physical part of yoga but the brief introduction and the history of yoga philosophy and the applied anatomy of the postures. 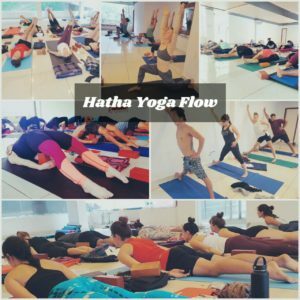 The students can start their yoga journey by conducting drop in classes by combining unique patterns and creating new sequence which would then make the class more interesting and enjoyable. Through multi-style one can attain a balance in their practice and teaching. For example after finishing one week of Ashtanga, one can reduce the intensity of their practice by practicing either Hatha flow or Yin yoga. Or present the class in such a way that gives full power and intensity at the beginning, slow down the pace towards the finishing sequence in order to experience the state of meditation at the end. This way the ultimate aim of yoga can be fulfilled from pose to pause as described by B.K.S Iyenger. 5. Helps in understanding ones body type. One can understand their body type through this course. After completion the student will be able to understand what kind of yoga suits their body. After realizing the student can make their call and practice the form of yoga which is suitable for their body type. Through the appropriate use of various props and the fundamental principles behind their use one can achieve great results. The speed involved in Ashtanga for example would help to develop stamina and understand the basic alignment of the particular asana through which one could gain beneficial results. The body becomes calm while practicing restorative yoga and also gives the same results like Ashtanga in a passive state. 6. Every person irrespective of their age, size and the beginners can take part in this course. Whether young, old or too old, sick or lean, one who discards laziness gets success if he practises Yoga. And The Asan yoga School adapt the same principle for the course, as it combines both active and passive forms of yoga. The course has no discrimination on the basis of age or size. Every individual who is Keen on learning can join to understand the basic root of yoga and bring this understanding in their daily life. ← Expression of Gratitudes to the Teacher – Guru Purnima!